Financial experts are desperately trying to get an accurate sense of where the cryptocurrency market is headed amid a continued downward spiral trend that’s seen many crypto values plunge to disastrous lows. The bloodbath has been so dramatic in recent days that some observers are now predicting that more than 90 percent of all existing alt coins will eventually disappear entirely. Ted Rogers, president of the Xapo Bitcoin Wallet & Vault, tweeted on August 13 about how he believes that we’re currently “in the midst of the extinction-level event for ‘cryptoassets’ that many maximalists have predicted.” He added that he believes the vast majority of cryptos are on their way out, and that it “might as well happen now” in order to get it over with. At the same time, he says, the current low prices for the more legacy cryptos like Bitcoin suggest that it’s an “incredible opportunity to buy” for people who were deterred by the all-time highs of $20,000 per “coin” that were reached back at the end of 2017. With Bitcoin prices now hovering around $6,000 per coin as of this writing, a fraction of what they were last year, Rogers believes that now is the time for many people to make their move. “I think Bitcoin is a long-term investment and I personally wouldn’t get into it for short-term trading,” Rogers stated back in June, adding that, “it’s not a matter of if, but when” Bitcoin will eventually become a global reserve asset. Be sure to check out this video segment (or watch below) from a recent episode of the Health Ranger Report, which explains how even Bitcoin could eventually see a total collapse due to the fact that it’s backed by nothing and remains largely vulnerable to cyber attacks and other forms of manipulation. With that said, we really can’t be too sure as to the future of any of these crypto coins, seeing as how pretty much all of them are currently in the red. 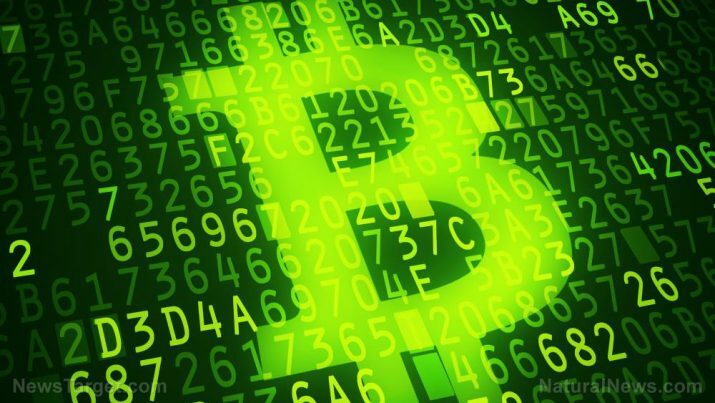 Zero Hedge reports that, as of August 12, the top five cryptos, which include Bitcoin, Bitcoin Cash, Litecoin, Ethereum, and Ripple, have all shed somewhere between 10 to 15 percent of their value. There are groups that still have faith in cryptos, however, including Cboe Global Markets, which wants to be the first company to list a Bitcoin exchange-traded fund (ETF). Though the road to gaining federal regulatory approval for this concept still has a ways to go, some investors are confident that it’s going to happen sooner or later. “As we chip away at their issues to make them less concerned, at some point they’ll be comfortable with an ETF,” says Chris Concannon, the president and chief operating officer (COO) of the Chicago-based exchange operator that’s working feverishly to make this goal a reality. The Securities and Exchange Commission (SEC) has already rejected a similar ETF proposal by the Gemini Trust Co. cryptocurrency exchange, citing concerns about manipulation is a “mostly unregulated” digital currency market rife with fraud. We’ve covered this here at Natural News on numerous occasions, including so-called “51 percent attacks” that can be utilized to steal other people’s virtual coins. “The SEC is likely to delay until February of 2019 and the chances of a Bitcoin ETF approval in 2018 have always been low,” says Hany Rashwan, chief executive officer (CEO) of the crypto startup Amun Technologies Ltd.
To keep up with the latest news about where Bitcoin is headed, be sure to check out BitRaped.com.